Have you ever had Trader Joe’s Pita Chips with Sea Salt? They’re delicious: light, crispy, and crunchy, with the perfect amount of tang. They’re very similar to the Simply Naked flavor of Stacy’s Pita Chips. That’s because they are the Simply Naked flavor of Stacy’s Pita Chips. Once out of the can, Trader Joe’s Organic Vegetarian Chili is identical in taste, ingredients, and appearance to Amy’s Organic Medium Chili. Trader Joe’s Organic Shells and White Cheddar is the twin of Annie’s Organic Shells & White Cheddar. The only differences in these products are the prices and the packaging—while TJ’s pita chips cost $1.99, Stacy’s are $3.99. The difference is similar for the chili ($2.29 for Trader Joe’s, $4.19 for Amy’s), and the cheddar shells ($1.49 for Trader Joe’s, $3.29 for Annie’s). 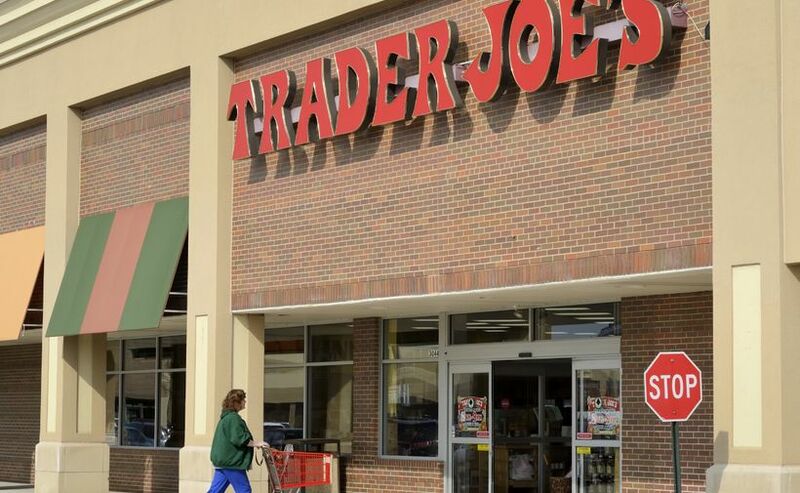 Why do the same products cost half as much at Trader Joe’s? Here’s how it works: Stacy’s, Amy’s, and Annie’s sell their products to Trader Joe’s, Trader Joe’s packages those products under its “private label” (essentially just putting its name on them), and then sends the goods to its stores. Mark Kastel is the co-founder of the Cornucopia Institute, a nonprofit that investigates food and agricultural issues. He says companies like Stacy’s, Amy’s, and Annie’s sign contracts with Trader Joe’s swearing they won’t reveal the business relationship. This benefits both parties, because Trader Joe’s doesn’t want its customers to know they’re eating Stacy’s chips—which could make them loyal to Stacy’s, not Trader Joe’s—and Stacy’s doesn’t want its other customers to know they could get the same product elsewhere for cheaper. And according to Kastel, Trader Joe’s isn’t the only grocery store to do this. The lack of transparency is troubling for a couple of reasons. First, if you’re buying from Trader Joe’s and you want to know “the story behind your food,” as Kastel puts it, you’re out of luck. With the current policies in place that keep sourcing private, there’s no way of finding out where your product was made, the conditions it was produced in, the impact on the environment or carbon footprint, and so on. Second, you may end up inadvertently supporting companies you don’t believe in. These propositions would have required food companies to put a variation of “genetically engineered” on the labels of all their products containing GMOs. “So if you’re buying those chips at Trader Joes, you have no idea the profit from those chips is going to help Pepsi stop GMO labeling,” Kastel says. There’s a third problem, and it also has to do with GMOs. On its website, Trader Joe’s promises that nothing sold under the Trader Joe’s label is sourced from GMO ingredients. This supplier-based documentation includes written statements and lab tests proving there aren’t GMOs in the seeds and ingredients of the product. Trader Joe’s also uses a third-party lab to do random tests of items with “suspicious” ingredients—for example, tortilla chips, which contain corn. If you’re thinking this sounds pretty rigorous, I agree. The problem is, we as consumers can’t verify any of Trader Joe’s sourcing claims, thanks to its stubborn refusal to be transparent. To fully trust a company’s non-GMO claims (or any sourcing claims, for that matter! ), the company’s products should be verified by a completely independent organization. Kastel cites The Non-GMO Project, a nonprofit that has verified over 27,000 products from 1,500 brands. He also says there are lots of companies that have been very open about where they get their food—and it’s actually helped their profits. Most milk sold in grocery stores—organic or not—is sold under the store’s own label. Whole Foods has also worked with the Cornucopia Institute and other independent third parties to verify the sources of its products and their non-GMO status. However, when Kastel’s organization reached out to Trader Joe’s to offer third-party verification services, the reaction wasn’t favorable. Despite all this, I don’t really want to stop shopping at Trader Joe’s. First, as mentioned before, Trader Joe’s isn’t the only grocery store to keep its suppliers a secret. When I buy organic milk from Target with the Target label on it, Kastel says I’m actually getting milk from a giant (organic!) factory farm—not the small, community-minded farm I was envisioning. It doesn’t seem practical to stop buying store brands altogether, especially because—and this brings me to my second reason—the store brands are cheaper. We all have limited funds, and I don’t think it’s at all practical to change the system by boycotting generic labels. What I can do—and what you can do too, if you’re interested—is speak to store managers. During my next weekly trip to Trader Joe’s, I’m going to tell the manager I’d appreciate if the store was more transparent about its suppliers. I’ll also say I want third-party verification of non-GMO ingredients. Next, I’ll turn to Twitter and Facebook. As we’ve seen, one tweet can lead to big change—and social media is an excellent way to address companies directly. Kastel proposes shopping at co-ops if you really want to know your food’s origins. While co-ops are more expensive, they’re definitely a great way to support local, organic farmers. Use this site to find one near you. That actually gives me hope. One thing about corporations: they care about their profits. If we can convince Trader Joe’s that its financial success depends on being more open, the company will have to change its policies.